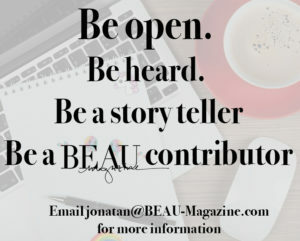 BEAU Magazine / Uncategorized / Cheers! The Charleston Wine + Food Festival is back to Slay! Cheers! The Charleston Wine + Food Festival is back to Slay! Book your Lyft driver because it’s that time of year again! The Charleston Wine + Food Festival is back! While it is a time for foodies and wine connoisseurs to come out and celebrate the diverse culinary scene Charleston has to offer, some of us still are apprehensive in the LGBTQ community. If the culinary scene so diverse in the Holy City, does Charleston Wine + Food Festival include a diverse atmosphere for LGBTQ people that is friendly and inclusive? You might be asking, “Why is this even a question? It’s 2018! Gays can get married!” However, many companies and events might claim that they are inclusive, however when it comes to including LGBTQ people in events and creating a judge free zone, this is where many fail. However, it is through the attention to detail Charleston Wine + Food Festival puts into every event they host that makes their events welcoming to all. From the moment you walk in, you are greeted by a friendly volunteer and given a glass to start your adventures in the Culinary Village. You then walk with people from all walks of life and enjoy various wines and liquors from different vendors, as well as food samples from a variety of fabulous restaurants from all over the southeast; sounds like a dream? As you walk around to different stations, you notice people giving demos and presenting different dishes and cocktails. Notice how everyone is focused on the wine and food and not who are you with or holding hands with! The Charleston Wine + Food Festival focuses on enhancing the world of wine and food and letting people know that it is just not about eating and drinking, but about bringing differences together in efforts to enjoy a meal with others. of Lips, into the William Aiken House for a party like it had never hosted before. People showed up in colorful feather boas, bowties and hats, accompanying their Sunday brunch best and waited to be blessed by the Queens of the southeast! People danced all morning to the music of Whitney Huston and created an event full of love, class, and mimosas! In the history of Charleston Wine + Food, this was the first of its kind and overwhelmingly patronized. This was a good sign that this festival is progressive and inclusive to all. So, what is to come for 2019? You will see a wave of women chefs taking the kitchen this year as well as many chefs of color. Also, you will some familiars faces such as Kathie Lee Gifford and Hoda Kotb From the Today Show. And of course the sell out Drag Brunch will be back! Trust us, the price you pay for any Wine + Food event is worth it! Because let’s face it, everyone eats, so why not enjoy wine and food with our local family and make new friends!